This powerful study shows how America's biggest export, rock and roll, became a major influence in Mexican politics, society, and culture. From the arrival of Elvis in Mexico during the 1950s to the emergence of a full-blown counterculture movement by the late 1960s, Eric Zolov uses rock and roll to illuminate Mexican history through these charged decades and into the 1970s. This fascinating narrative traces the rechanneling of youth energies away from political protest in the wake of the 1968 student movement and into counterculture rebellion, known as La Onda (The Wave). 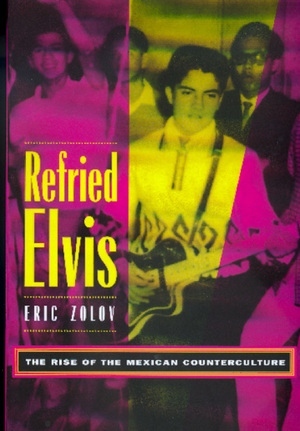 Refried Elvis accounts for the events of 1968 and their aftermath by revealing a mounting crisis of patriarchal values, linked both to the experience of modernization during the 1950s and 1960s and to the limits of cultural nationalism as promoted by a one-party state. Through an engrossing analysis of music and film, as well as fanzines, newspapers, government documents, company reports, and numerous interviews, Zolov shows how rock music culture became a volatile commodity force, whose production and consumption strategies were shaped by intellectuals, state agencies, transnational and local capital, musicians, and fans alike. More than a history of Mexican rock and roll, Zolov's study demonstrates the politicized nature of culture under authoritarianism, and offers a nuanced discussion of the effects of cultural imperialism that deepens our understanding of gender relations, social hierarchies, and the very meanings of national identity in a transnational era. Eric Zolov is Assistant Professor of Latin American History at Franklin and Marshall College.